USOpen Golf is great for viewing some of the best players out there and our firm is great for finding some of the best golf homes available here in the Asheville area. Feel free to watch the USOpen Golf tournament and then call us to view some of the most gorgeous golf properties in the country. We are always excited to see who wins the USOpen Golf tourney and we get equally excited when working with new buyers here. 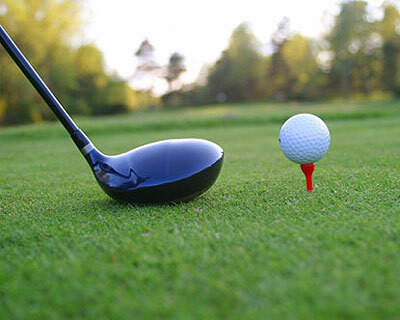 Call Green Mountain Realty for golf homes and to discuss the USOpen Golf tournament. I have a question about the property at 1300 Elk Mountain Scenic Asheville NC 28804 (#3446202). I would like to schedule a visit for the property at 1300 Elk Mountain Scenic Asheville NC 28804 (#3446202). I have a question about the property at 506 High Cliffs Road Hendersonville NC 28739 (#3397380). I would like to schedule a visit for the property at 506 High Cliffs Road Hendersonville NC 28739 (#3397380). I have a question about the property at 1205 Rockcrest Way Arden NC 28704 (#3242684). I would like to schedule a visit for the property at 1205 Rockcrest Way Arden NC 28704 (#3242684). Looking for a newer home? This home hasn't just been completely and beautifully renovated, the floorplan has been greatly improved on both main and lower levels. The great room is now open to a gorgeous eat-in kitchen with 2 islands and Viking appliances. The master has a fabulous bath with heated floor, soaker tub, steam shower and 2 large walk-in closets, one with dressing area. Not only is the Master on the main level, there is an additional guest suite, large pantry, powder and laundry room. Downstairs is party central with a large antique bar, family room, billiard and media areas. Also downstairs are 2 bedrooms and baths, an exercise or golf room with pecky cypress paneling, tons of storage & a golf cart garage. All this in a beautiful setting with lovely water feature, mature landscaping, and huge deck overlooking the 18th fairway of Tom Fazio's Mountain Masterpiece in Champion Hills. Just 8 minutes to downtown Hendersonville & all it has to offer. Great home for entertaining! I have a question about the property at 127 Chattooga Run Hendersonville NC 28739 (#3479786). I would like to schedule a visit for the property at 127 Chattooga Run Hendersonville NC 28739 (#3479786).